Poker, then and now: A conversation with Carl McKelvey who played in the very first WSOP in 1970. Carl McKelvey, a 1970 WSOP participant, reflects on decades of card playing and persevering in poker. An old photo from inside Binion's Horseshoe features 38 pioneering participants in the 1970 World Series of Poker. Only three of them are alive today. The first, Doyle Brunson, needs no introduction. Neither does the second, Jack Binion. However the third, Carl McKelvey, has spent most of his card playing career out of the spotlight. At the time, the young Texan was part of a successful blackjack team that predated MIT's infamous card-counters by over a decade. 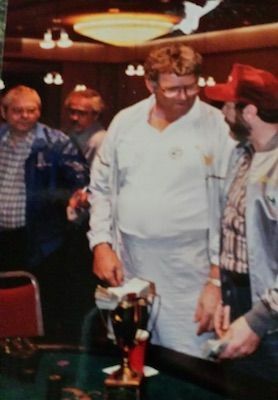 McKelvey turned his attention more fully to poker during the 1980s, finishing fourth in the 1983 WSOP Main Event and roaming the country with the legendary Bobby Hoff. 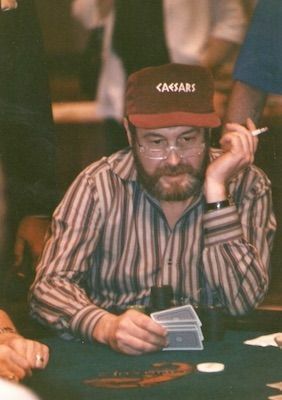 For the next 30 years, McKelvey quietly established a reputation as a fearsome hold'em player based out of Houston and Las Vegas. 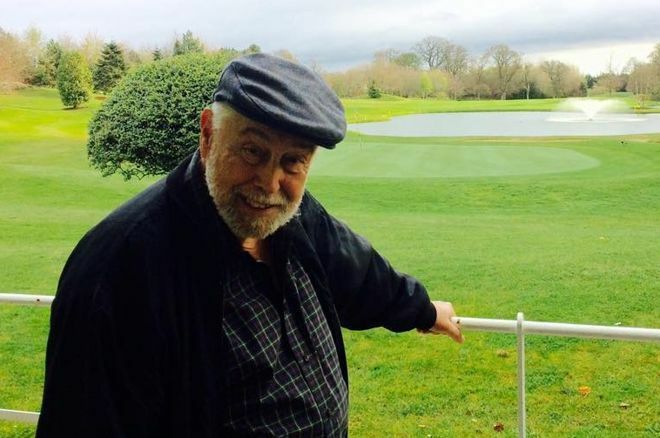 Now, in the twilight of his career, the 75-year-old has achieved a rare feat: a long, prosperous life in poker. I recently met McKelvey on a Wednesday morning inside the Wynn poker room, where he regularly plays $2/$5 and $5/$10 no-limit hold'em. Greeting me with a firm handshake, he wore loose-fitting khakis, a red button-down, and sported a trimmed white beard. We sat in the empty high-stakes area and chatted about a number of subjects vital to the success of any serious player, including whether or not to turn pro, how to create a friendly atmosphere at the tables, and knowing when to quit. How did you end up in Las Vegas in the 1970s? Carl McKelvey: I started my gambling career in Victoria, Texas when I got out of the Air Force in the '60s. I started out on the stick — craps, 21 — and I met Bobby Hoff when he was a dealer at The Lloyd Club. There was a $20 poker game across the street. Big money, back then. So I got the passion for poker while I was studying blackjack. A Texas Ranger shut us down in the first part of '65. No job, I'm tired of school... Vegas, here we come. Was it profitable to count cards back then? Yeah, but we never had enough money! Our delusions of grandeur evaporated, and we had to work. 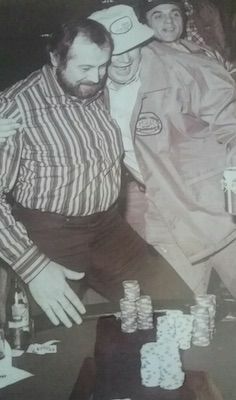 I dealt craps at the old Mint — that's where the Horseshoe moved into — and Bobby dealt blackjack at the Las Vegas Club, which was in the pits of downtown. Eight dollars a day, plus two-dollar tokes every once in a while. We lived in a motel down the street, starving. By the end of '65, we put together a blackjack team — five to seven of us, off and on, all good counters. We were one of the first blackjack-counting teams that MIT made famous. The only reason we didn't flourish is because of Robert Griffin, an ex-cop who started the Griffin Detective Agency. We were dumb. We were playing on graveyard shifts at the Tropicana, and one of his men followed Ken Wilson — young kid, good player — from the casino to our headquarters. Griffin got pictures of us and put them in his book. So we moved to Reno. I played mostly blackjack in the '70s. Eventually a man named Ken Uston sold us out and gave up all our secrets. That was the end of blackjack, for me, and I moved back to Texas, where I met Jack Straus and we set up a little bookmaking operation. He was a great poker player, and I learned a lot from him. When did you focus on poker? I didn't think I was a world-class player until 1980. Before then I knew all the good players. But in 1980, I felt like I got there. How did you turn the corner? In 1983, I came in fourth in the World Series [Main Event]. I played that session with no cards, and I felt really good about that. I told myself, I can play this game. And Bobby Hoff had such an analytical mind. He would see something, and I would see something else. Do you remember what kind of conversations you had with Hoff? Were you guys playing certain kinds of hands in different positions? Or bluffing in unconventional spots? That's an interesting question. There's only one player who came close to Bobby, and that's Doyle. But I think that Bobby was even in another dimension than Doyle. I can't just pinpoint — we did this, we did that. But what kids are doing today — they call it the "c-bet" — Bobby developed. Back in the '70s, we called it "the chop." You want me to explain that to you? We called it, "We bet, we chop 'em out of the money." We don't make a hand, but we're still a winner, because we chop 'em out of the money. Bobby had developed that strategy over the years, and a few of us were his disciples. By the early '80s, you were traveling the country and playing the biggest games you could find, is that right? We were Texas road gamblers. We had stops in Victoria, Corpus Christi, Robstown, San Antonio, Luling, Seguin. Every once in a while we went to the Cajun Cup in Lafayette [Louisiana]. A dealer asked me once, "Why are you boys from Texas always so nice?" It was simple — we had to be. If we weren't, then we wouldn't be invited back. It would be just like shittin' in the kitchen. In '85, the Oil Bust came, and no-limit poker disappeared. Just about everywhere. Texas was hit really hard. So then limit poker, which is probably the worst way to play hold'em, became king. The amateurs — or the suckers, if you want to call 'em that — they always get a price to call, and they just throw their money in. In 1990, I got together with a lot of the old Texas road gamblers and said, "Look. We've got to get things started again." So we played $10/$25/$100 pot-limit-hold 'em at the World Series. And we built it back up. Poker players should kiss Lyle Berman's feet. He was the one who put the World Poker Tour on television. That led to online poker, and when Chris Moneymaker showed up — that was it. The Moneymaker Effect put things over the top. How are you liking Las Vegas now? Let me tell you something, Ben. These young players — a lot of them are really good. For 15 years I played $25/$50 and $50/$100 no-limit at the Bellagio. Now I check my ego at the door. Years ago, Bobby and I were the cutting edge. Now, they are. Or, they think they are. Do you feel like you still have an edge in the games today? Some games I don't feel like it. When I feel like I don't have an edge, I get up and quit. I don't have to win anymore, you see? I don't have that pressure anymore. So you're playing because you love the game? I play because I have nothing else to do! The only passion I have left is golf. I lost my passion for poker a long time ago. But I still love the game. I'm always gonna be a poker player. That's all there is to it. What would you tell an aspiring poker pro? Oh, that's real easy. Go to school, get you another job, get you a career — do anything but poker. Sure. I see so many kids wanting to be a poker pro. It looks like a beautiful life: sleep till 12, play poker, do what you want to do. But it's not. Some of them are successful, true. But how many others aren't? The number is huge. And these kids are smart. They're college graduates. They can be anything they want to be, and they waste their time playing poker. What are they achieving? What are they giving to life? To mankind? I didn't have a choice — I came from the streets. I had to do what I had to do. But these kids don't have to. Go out and find yourself a career, man. Go out and do something. For those of us who continue to play poker — whether we're professionals or not — what can you say about creating a friendly atmosphere at the table? I'll say this. Today at my age, at 75, I want to play in a game I'm comfortable in. I don't want to play with assholes. I call 'em Public Cardroom Assholes, because these guys can say whatever they want to. They don't have to worry about getting punched in the nose. That happened to Bobby one time, in Texas. He got into a big pot with a football player who asked him what he had. "Two pair," Bobby said. The guy showed a flush. "I got two pair of eights," Bobby said, and he rolled over quads. BOOM! Bobby got punched in the nose. "I'll never do that again," he said. You see, that's a lesson that the public cardroom player will never learn. So your question was how do you make the games better? Something that we always work on is to cultivate the producer. We make him feel comfortable. He's our customer. We don't insult him. We treat him, or anyone who's playing, like a customer who you'd want to come back. Are there other folks from the 1970 WSOP who are still playing? Is it just you and Doyle? And it sounds like Doyle's retired. He might have played his last tournament. So I may be the last of the Texas road gamblers. Ben Saxton is a teacher and a writer from upstate New York who has played small stakes poker, both live and online, since the early 2000s. Ben lives in New Orleans and covers poker on the Gulf Coast.